Get ready for fun, food and prizes at Bill Plemmons RV World’s 2018 Customer Appreciation Weekend on October 19th and 20th! This once a year event is a great opportunity to spend time with friends, family and fellow RV enthusiasts. Enjoy a relaxing round of golf at the Bill Plemmons Memorial Golf Tournament on Friday, October 19th. The following day hunker down for some delicious country cooking on Saturday, October 20th. Join us on October 19th at 12:30pm for the 25th Annual Bill Plemmons Memorial Golf Tournament held at the beautiful Maple Chase Golf and Country Club. Located at 5475 Germanton Road in Winston Salem, NC, this 18-hole golf course is designed by one of North Carolina’s most noted golf architects, Ellis Maples. 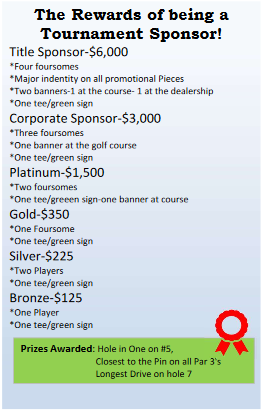 There are many sponsorship levels available for various team sizes. Grab your friends and sign up for the Bill Plemmons golf tournament today. The first place team will be awarded $500 dollars. All proceeds go to charity and a box lunch is included. Don’t miss our special once a year chicken stew dinner prepared by stew master Mountain Fried Chicken. For only $5.00, you will receive a sumptuous feast of mouth watering chicken stew, an ice cold drink and a delicious dessert to top it all off. This is comfort food at it’s best. Dinner starts at 5pm on October 20th, so come hungry! After dinner, we will be offering free BINGO from 6:00pm-7:00pm. Mark your free space and get ready for fun. Do I hear a BINGO? This Customer Appreciation Weekend is all about you, our valued RV customers. 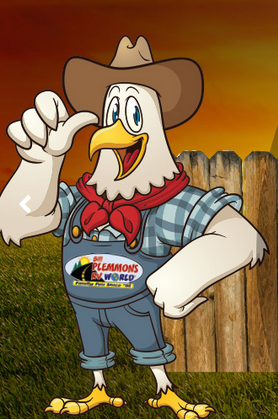 For additional information about the Bill Plemmons golf tournament on October 19th or chicken dinner on October 20th, Contact Us at Bill Plemmons RV World. See you on the green!